Just before the outbreak of the Great War, the Admiralty produced what we would now call a force structure, covering 1914 – 1917. The First World War intervened before the changes could be made; however, for all of us “what if” gamers, this presents the proposed structure for use in the Great War at Sea series. The revised force structure had four major changes: the disbandment of the battlecruiser force; the reorganisation of the First Fleet as new dreadnoughts were commissioned; the creation of a Mediterranean Fleet; and, finally, a reorganisation of the cruiser forces. Note: Princess Royal proposed as flagship instead of Tiger: vessels to swap places if this occurred. Note: If Goeben leaves the Mediterranean, then New Zealand would join 3 Cruiser Squadron; if Goeben stayed there, New Zealand would stay too. The cruiser squadrons would, in all probability, have the same roles as before: reconnaissance, screening and counter-reconnaissance. The addition of the battlecruisers would have considerably strengthened the cruiser squadrons and, of course, kept them out of the battle line. It would also have returned them to their original mission – that of killing cruisers. The four squadrons were assigned to the First Fleet. Whether the Germans would have reorganised their scouting forces in response is a moot point. The second reorganisation was longer in nature (battleships aren’t built in a day!) but would have had a major impact on the Royal Navy. First was the introduction of the Queen Elizabeth class superdreadnoughts, then the ‘R’ class and the corresponding changes in the Fleet and its Battle Squadrons. The following indicates the composition of the fleet over the period 1914 – 1917. It’s worth noting that during 1915 – 1917, the Senior Officer 3 Battle Squadron would have an interesting mix of superdreadnoughts and pre-dreadnoughts to command. At conclusion of the reorganisation, in 1917, the Royal Navy would have 29 dreadnoughts in the First Fleet (facing Germany). The eight or nine battlecruisers would be part of the new mixed cruiser squadrons, with the 3rd Battle Squadron (now composed solely of Queen Elizabeth class superdreadnoughts) forming the fast wing of the First Fleet. In the 19th Century, the Mediterranean Squadron was the pride of the Royal Navy. Based at Malta, it became legendary for its appearance and steam manoeuvres; many of the commanders of the First World War served in it. But the Squadron was reduced when Fisher as First Sea Lord concentrated the Royal Navy in home waters to meet the growing threat from Germany. This reorganisation would see the creation of a new Mediterranean Fleet in 1915, which was composed of 12-inch dreadnoughts reassigned from the First Fleet. By 1917, the CinC Mediterranean would have had seven dreadnoughts under command, with perhaps a battlecruiser as well. Note that the Admiralty reckoned the HMS New Zealand to be the match of the SMS Goeben. Note that the Admiralty refers to “4 Sentinel” in the Patrols. Actually, only two Sentinel class were built: there were three other classes, the Adventure, Forward and Pathfinder (two cruisers each), which were very similar and all four classes were collectively referred as the “Sentinel class.” One problem is that the source doesn’t state which four would be placed in the Second Fleet. The ships of the Second Fleet would form the Channel Fleet in time of war. After July 1915, it becomes increasingly difficult to assign ships to the battle squadrons. My interpretation is that the Majestic class would have been relegated to guard ship or similar duties, with the more modem pre-dreadnoughts forming the battle squadrons. Interestingly, the cruiser deployments for 1916, shown below, only name two battle squadrons. The reserve commission cruisers would have formed several Cruiser Squadrons, probably numbered Ninth though to Twelfth. These would have been assigned to the Northern and Southern Patrols, amongst other duties. Again, the source doesn’t state which of the eight Sentinels would have been placed in reserve. Finally, it’s also worth mentioning that the Edgar class cruisers (HMS Edgar, Hawke, Endymion, Royal Arthur, Gibraltar, Grafton, St. George, Theseus and Crescent) were to be placed in Material Reserve (and thus available for recommissioning in time of war). 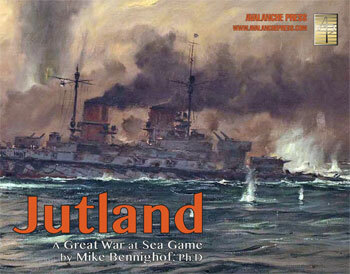 Try the revised First Fleet organisation in any of the Jutland scenarios – Dogger Bank, Jutland itself or Helgoland Blight. This article is drawn from ADM 1/8383/179, Battle and Cruiser Squadrons – Programme, 8th July 1914. The paper does actually use different terms for the new (mixed) cruiser squadrons. Even the Admiralty couldn’t decide what to call them! Note also that the cruiser squadrons in the First Fleet were supposed to be created in March 1915 – yet many of the battlecruisers were to stay in the Mediterranean until November of that year. Try out the new fleets in Jutland - order today, we ship right away!